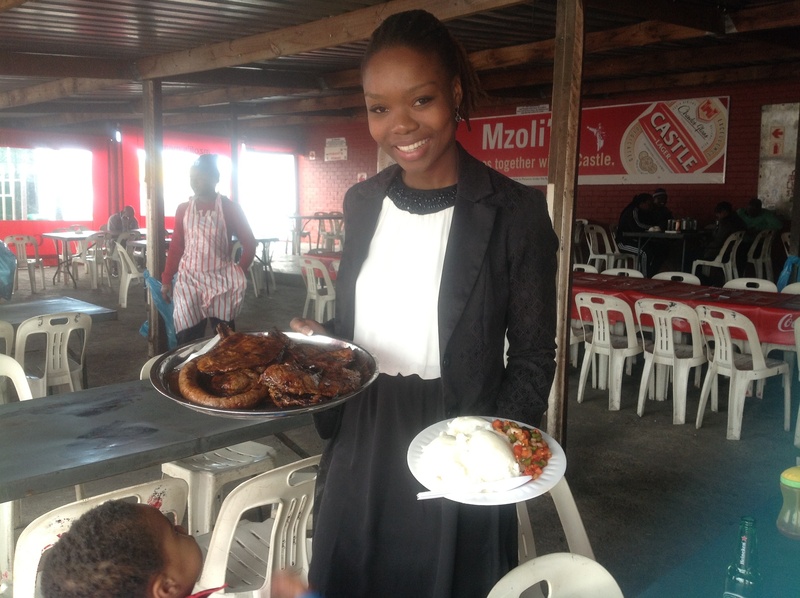 Pap and Vleis lunch at Mzoli’s! 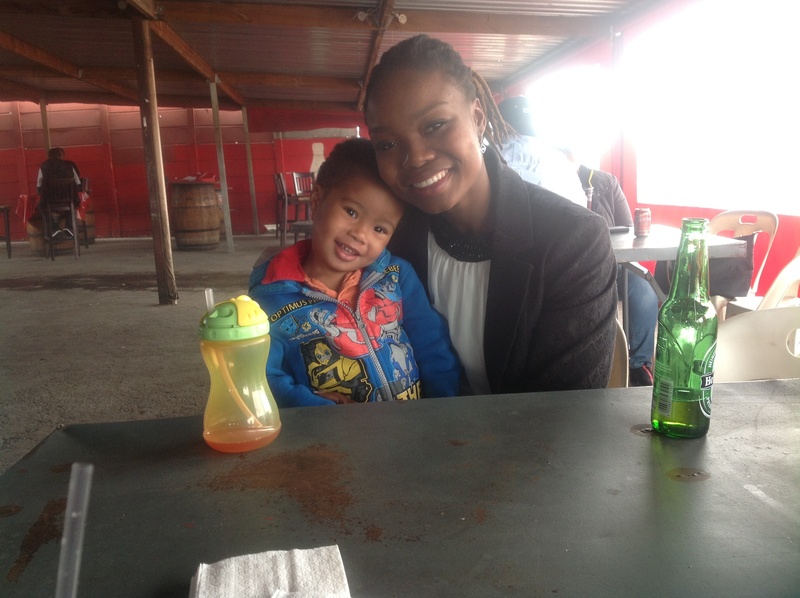 For lunch today, I’m taking my sister to one of Cape Town’s townships, Gugulethu. And the reason; the best Pap and Vleis in town of course:). We’re at Mzoli’s place. This place brings back a lot of memories, all good and mostly crazy. This is where I spent most of my Sundays during my crazy partying student days, eating braai meat and pap, consuming copious amounts of alcohol and dancing the afternoons away. It was always packed, hundreds of cars everywhere, with people taking over the streets. It was more like a big street bash with live Djs, food and booze. I feel I’ve come full circle now, from the crazy days to now coming back a few years later with my little sister and my son. Hope they like it. 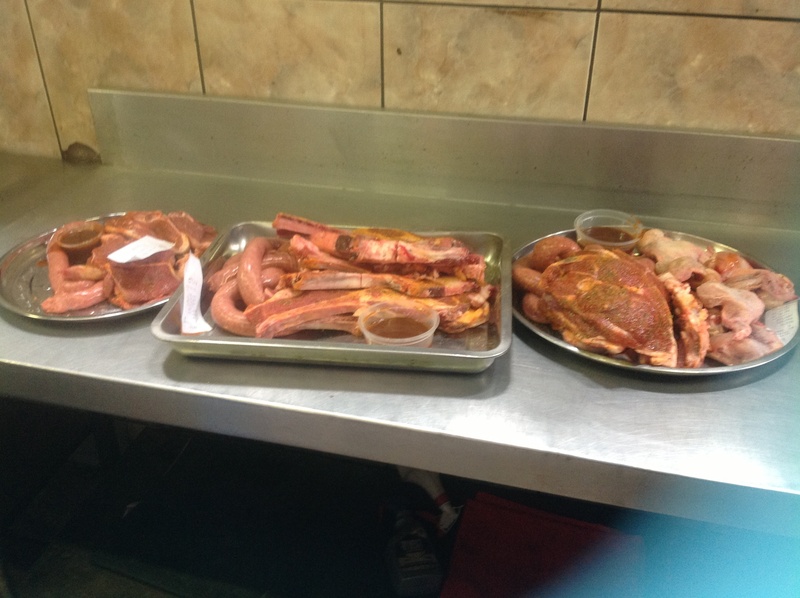 Back to their meat; it is truly the best braai meat I’ve ever had and the secret is in that sauce. I still can’t figure out what it’s made of and Mr Mzoli himself won’t let out the secret, he’s been asked a thousand times. I hope it’s still as good as I remember it, so fondly. In terms of its popularity, it’s still got it! It is still the place you must go to as a local, or as a tourist before you go back home. It’s still the place people talk about when they talk about the full township experience, as they go back to their lives in suburbia. On a Thursday lunch hour, it has over a hundred people, from the guys chilling and enjoying their beer while awaiting their meet, to girls lunching out and families with kids running around. 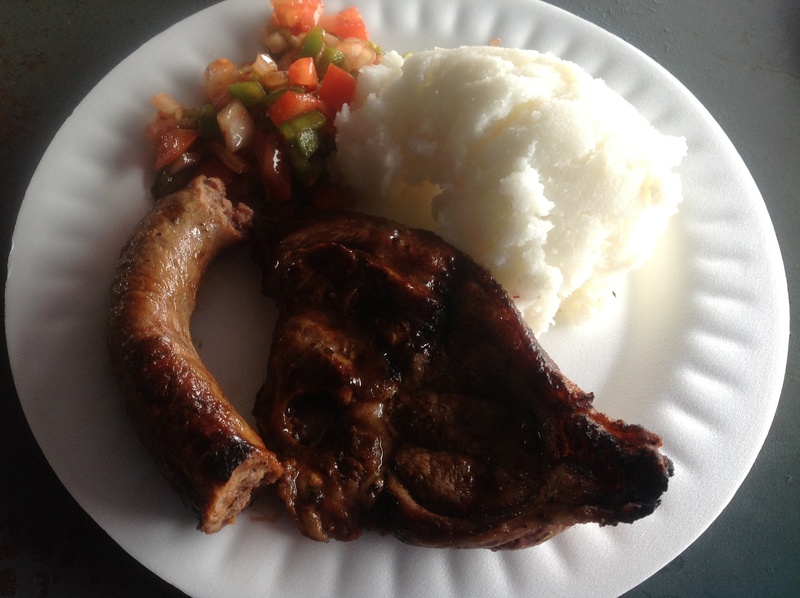 Today we’ve selected sirloin beef steaks, lamb cutlets and wors( sausage) served with pap and chakalaka. Verdict: 10/10. Yep, it is still the best! My son is licking his fingers 🙂 He especially enjoyed the pap and wors, while I was more lamb inclined. The pap is so smooth and well seasoned, even better than mine unfortunately 🙂 But everything is just good. The meat so tender and succulent, the juices on that wors- I wish I could bottle them. The sauce is still so amazing, with the chakalaka adding texture on to the meal. My heart feels so warm 🙂 this is how food should make you feel everytime. This feeling is worth every effort and penny. NB: Pap is a starch cooked thick and made from maize, similar to polenta. And a braai is a barberque in South Africa. 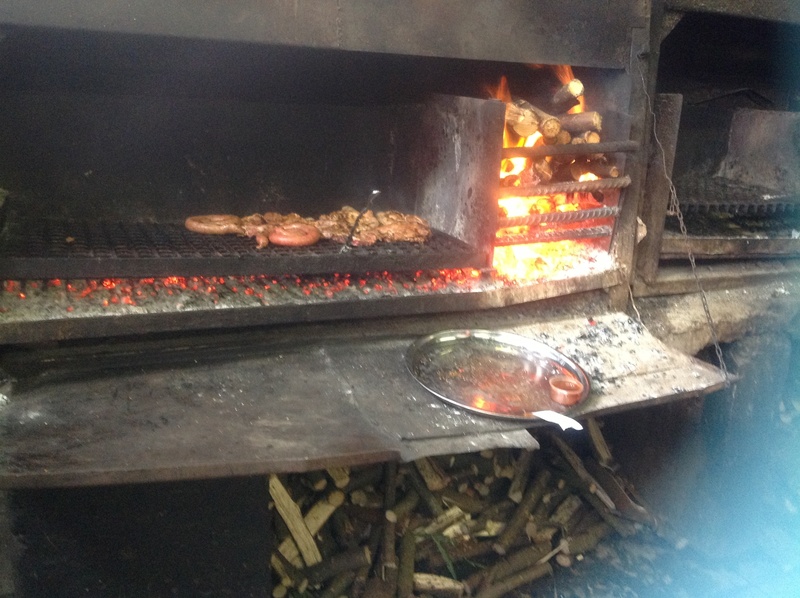 Meat is called Vleis in the Afrikaans language. Chakalaka is a relish- made with onions, peppers, tomato and sometimes carrots, lightly sautéed. Prev Date night dining out! Next Gin and lemonade with a twist.